Some programming learners in the lowest achievement group do not have even a minimum skill to read a simple program correctly. Reading programs would be an essential programming learning. To efficiently support learners in the lowest group, firstly we should conduct a fundamental analysis of reading programs to unveil their features. 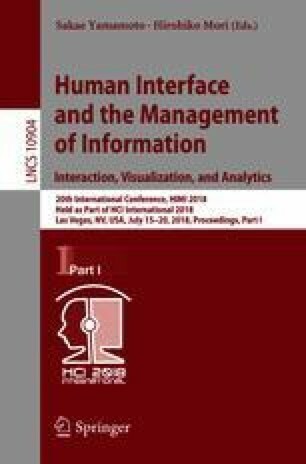 Therefore, the authors focused on eye tracking as a method to carry out the idea. The authors have thought that utilizing eye movement helps to clarify the reasons for making programming learning difficult. Therefore, the purpose of this study is to investigate the possibility of learner’s program comprehension process based on the pattern of eye movement, not the eye distribution during reading source code. In this paper, we first measure the data of eye movement during reading some source codes and propose a modeling method to represent the feature of eye movement. Then we design an experimental protocol for analyzing eye movement based on program structure. The experiment of this paper focuses on source codes based on four types of data dependency relationship that can be generated by three lines of assignment statement only. As the analysis result, we confirmed that the data dependence of each pattern appeared as the unique eye behavior of program reading. This work was partly supported by Japan Society for the Promotion of Science, KAKENHI Grant-in-Aid for Scientific Research(C), 16K01147, 17K01164.